Following a nation-wide competition, the Canada Council for the Arts is proud to announce Impostor Cities, presented by Montreal-based T B A + David Theodore, has been selected among 4 shortlisted candidates to officially represent Canada at the 17th International Architecture Exhibition, in Venice from May 23 to November 29 2020. Impostor Cities will propose new directions and agendas for thinking about Canada’s architectural identity through stories about how filmmakers transform Canadian cities into cinematic impostors. 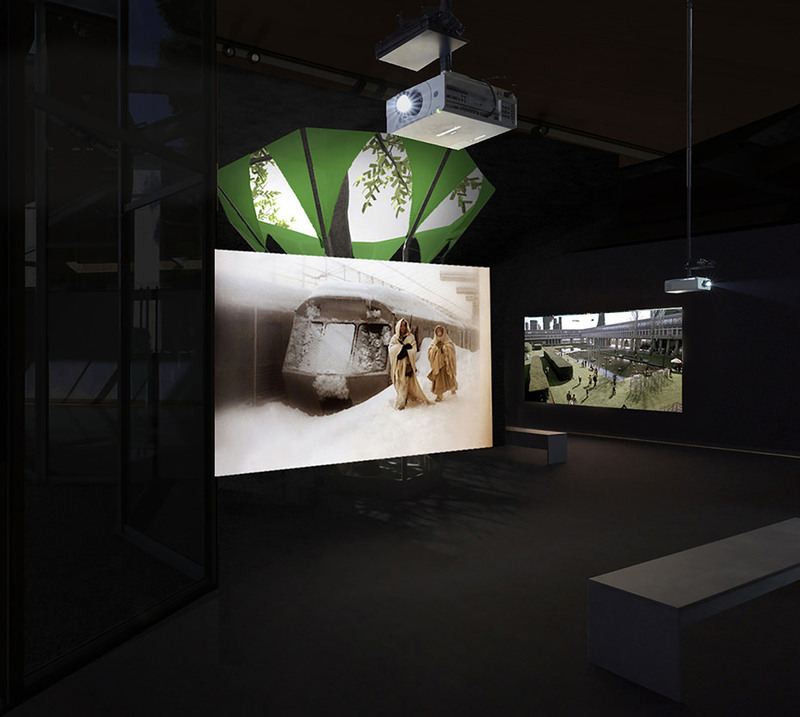 Visitors will not only experience the world of architecture and film through the content of the exhibition, but will be immersed in it, through a visceral experience that will transform the Pavilion into an unmistakable icon across the Giardini. Canada’s architecture is film-famous. That’s because Canadian cities often double as other places onscreen. Toronto stands in for Tokyo, for example, while Vancouver and Montreal masquerade as Moscow, Paris, and New York. Impostor Cities celebrates the Canadian cities that pose as these amazing cinematic impostors, bringing attention to how our architecture appears to the world through the silver screen. Impostor Cities proposes new directions and agendas for thinking about Canada’s architectural identity as it poses the question, Why are Canada’s buildings so good at doubling as elsewhere in films? The exhibition aims to shift our perspectives, supplanting traditional frameworks of climate, geography, history and politics as the keys to understanding Canada’s rich and diverse architecture. It will feature several of the country’s cinematic icons such as Erickson-Massey’s quadrangle at Simon Fraser University and Pomphrey’s R.C. Harris Water Treatment Plant, historic architecture such as Kingston’s Market Square and Winnipeg’s Exchange District, and generic cityscapes from Halifax to Vancouver. The exhibition plays with the enchantment of cinema. 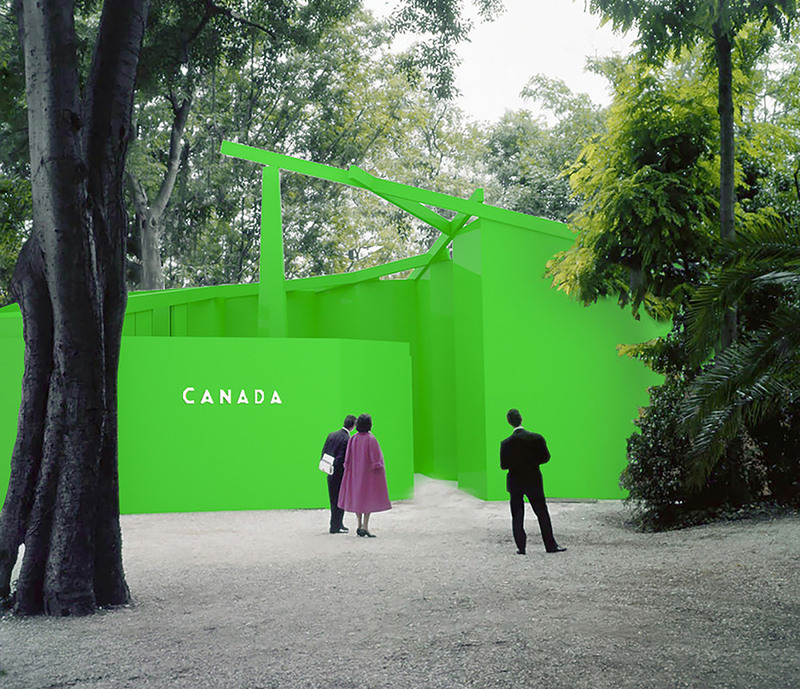 Visitors will encounter a Canada Pavilion transformed into a bold icon that is visible across the Giardini. 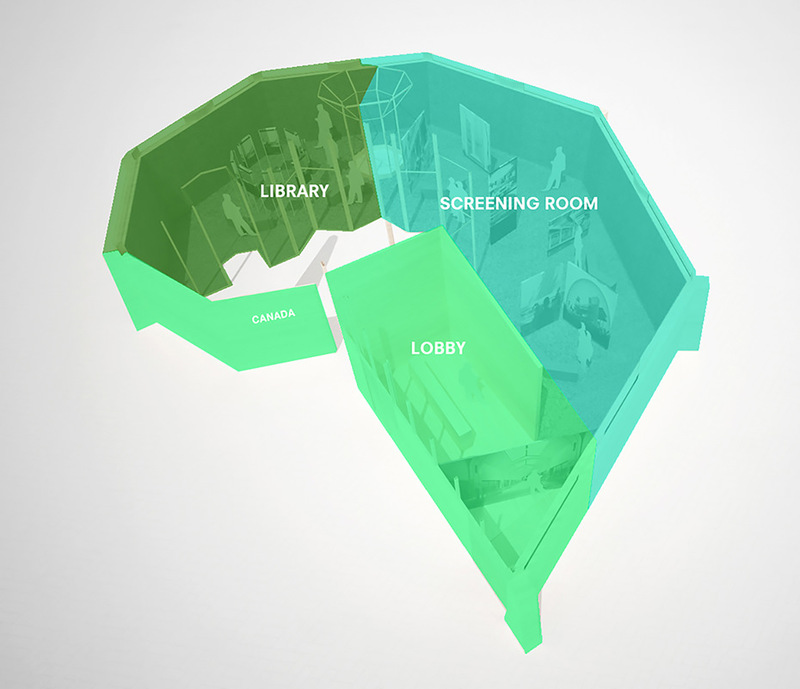 Inside, an immersive experience will place visitors in movie mode, inducing a change in attitude that prepares them for a visceral visual- and audio-experience composed of supercuts of scenes from selected films and television shows. In addition, an interactive library will allow visitors to browse information about buildings—and their architects—featured in the supercuts, as well as stories about how filmmakers transform Canadian cities into cinematic impostors. Impostor Cities will be presented by a collaborative team of educators, architects, critics, and designers under the umbrella of T B A + David Theodore. The project will be curated by Mr. Theodore. Montreal-based architecture and design studio TBA, spearheaded by Thomas Balaban and Jennifer Thorogood, will oversee the design and production of the exhibition. Sarah Mackenzie and Pawel Karwowski will be responsible for communications and the public face of the project. The core team will be complimented by a wide range of collaborators, with Alannah Thain, Mikaèle Fol and Nick Cabelli coordinating film curation and research, while artist and educator Randolph Jordan will curate the exhibition’s sound. The other shortlisted teams included the Azreili School of Architecture and Urbanism (Ottawa), Common Accounts (Toronto), and Ja Architecture Studio (Toronto).